The unique environment of Southern California, while often a source of great appeal for its residents, poses distinctive challenges for anyone wishing to develop and maintain the aesthetics of their yard. The dry climate, paired with an increasingly limited water supply, means a lush green space is no longer ecologically viable. However, there are many other possibilities for creating a beautiful outdoor space. The folks at Modernize, a website devoted to home remodeling inspirations, like to view this landscape challenge as an opportunity to create a uniquely Californian place for outdoor living. Here, they share two approaches to this challenge- xeriscaping and hardscaping- including along the way some of their favorite California native plants for the garden. Xeriscaping is an approach that seeks to conserve water, or even to eliminate entirely the need for additional irrigation other than what the climate provides. The term comes from combining “landscaping” with the prefix “xero”, which means “dry”. This prefix is found elsewhere in xerophytes: plants with major adaptations to living in arid environments. Cacti, with their fleshy stems for water storage, are a classic example. Xerophytes may be used in xeriscaping, as well as other plants that have important, though less extreme, drought tolerance adaptations. This method can also utilize materials other than plants, such as gravel or permeable pavers, to add visual interest to a landscape and reduce the amount of surface area from which water can evaporate or run off. 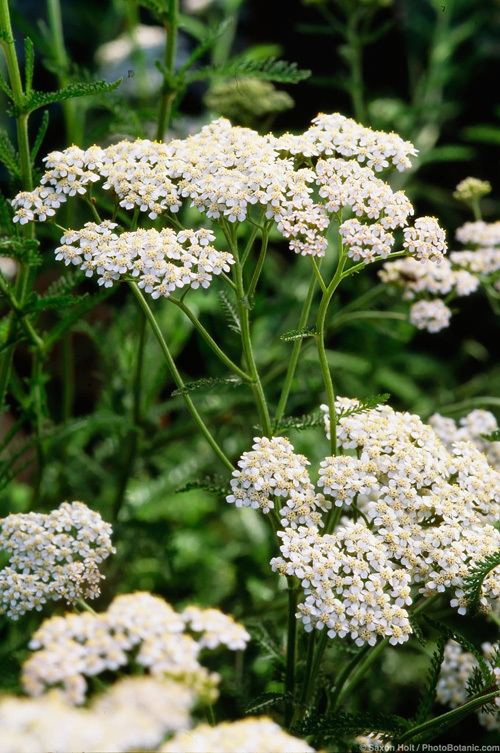 Achillea millefolium (Common Yarrow, Milfoil) white flowering perennial. Photo by Saxon Holt. It is important to note, however, that a xeriscaped garden may or may not use native plants to a specific area. But because native plants are in sync with their local climate’s normal precipitation patterns, and because of their enhancing effects on native insect, bird, and other wildlife populations, native plants make the best choice (naturally)! 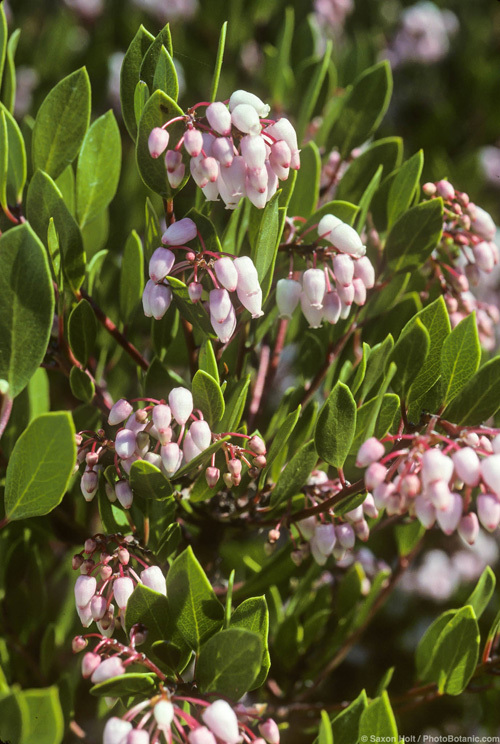 At Modernize, one of our favorite plants for California is the Manzanita (Arctostaphylos spp.). They can range from low growing groundcovers to large evergreen shrubs that serve well as foundation or border planting. Additionally, they are beautiful and drought resistant, making a perfect accompaniment to any Southern Californian yard. Another favorite is the Coast Sunflower (Encelia californica), a perennial shrub that can reach up to four feet in height at full bloom and produce large two-inch daisies that add a big splash of color to the garden. Southern Californians are very familiar with water usage restrictions, especially during long periods of drought and peaks of each fire season. Xeriscaping is therefore a natural choice for adapting to both the existing arid climate, and the new political and social climate that presses for water conservation. This approach also serves as a reminder that existing native landscapes are beautiful in their own right, and that such beauty can be readily integrated into a homeowner’s outdoor living space. Arctostaphylos densiflora ‘Howard McMinn’ (Manzanita) flower blossoms. Photo by Saxon Holt. Another approach to making the most of a landscape in a dry environment such as Southern California is hardscaping. Hardscaping incorporates “hard” elements like stone, pavement, and wood, as a counterpoint to “soft” elements like plants and soil. In addition to potentially increasing the property value of one’s home, this approach has important ecological advantages, such as a drastic reduction in water usage and the creation of a place for people to gather. Lined with California Poppy (Eschscholzia spp.) or Yarrow (Achillea spp. ), procured from one of the many Southern California nurseries devoted to native plants, a hardscape can create an intriguing and natural look. From a design perspective, hardscaping can create lots of open space in a garden and this serves to gently echo wild desert landscapes of Southern California. If thoughtfully deployed, a deck, a stone path, or some other architectural element can actually help to connect the garden aesthetically to its home environment. Xeriscaping, as well, can reflect its surrounding locale, especially in the water-strapped lands of Southern California. Both landscaping approaches help to conserve water as well as utilize native plants. 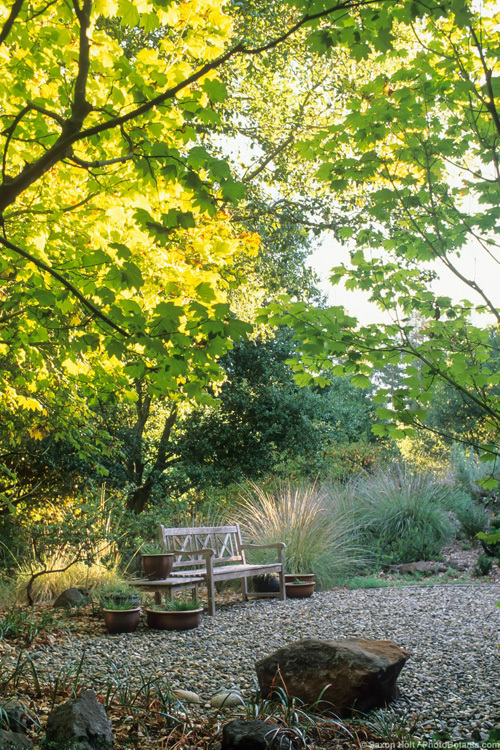 With a few targeted choices, one can design a landscape that is not only distinctively beautiful, but also one that evokes a sense of its native place. This entry was posted in Best Practices, drought, Garden Design, Gardening Tips, Seasonal Gardening. Bookmark the permalink. ← CNPS Takes It to the Capitol! I would prefer a combination of Xeriscaping and hardscaping. Though I must confess that these two words are a new addition to my vocabulary today. I think beautiful landscapes can be designed using these two, which will save water and make the outdoors more enjoyable. We have been facing drought conditions in our area for a number of years as well. You make a great point about how hardscaping can help reduce the amount of water your home uses while still keeping things beautiful. Finding a landscape supply store that specializes in local plants, pavers, woods, and stone can help you design and build an inviting yard while reducing your water bill.